I’ve been here off and on for 6 weeks, I came with my girlfriend Sonia so she could see the guys at Phanganist Hostel again. 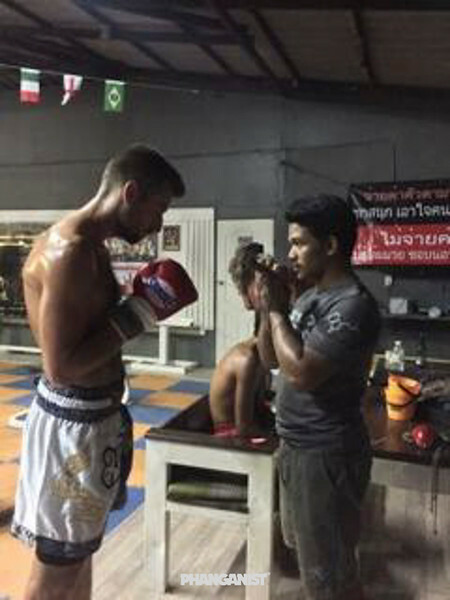 I discovered Diamond Muay Thai and fell in love with the gym and had training every day and have been trying to get a fight before I leave. What is it like training at diamond? Twice a day, intense, the trainers they really spend a lot of time with you and it makes the gym become a family so it’s a really great experience and I want to come back and train again there. Did you have experience before? Not in Muay Thai but I do in MMA in Amercia, amature Boxing, Kickboxing tournaments and Wrestling. How did you prepare for the fight on the 10th of May? I stayed late all week, only ate raw vegetables before the fight and then the day before I packed on the carbs and protein and have a lot of energy before, keep a good mind set and not get too far in my own head. Good, it went kinda how I prepared for it. I started with a front kick to keep distance as I knew I had height, from there I kept the aggression moving forward and kept a lot of pressure, I saw him get tired and took advantage from there. Yes, first round knock out, I think the fight was 2 minutes or under. How does it feel to win your first ever Muay Thai fight? 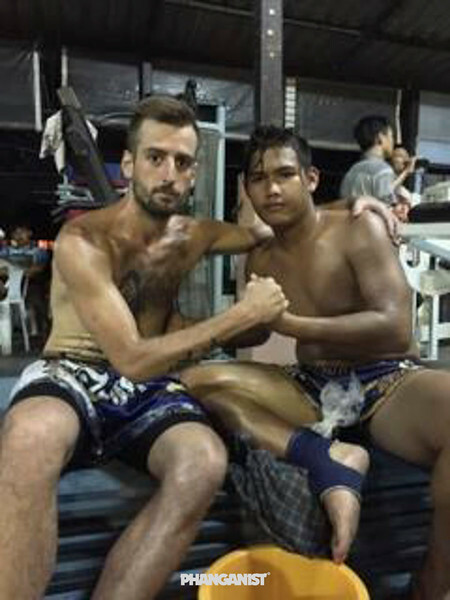 It feels great, it feels like my training paid off and I just have a great respect for Thai people and the art of Muay Thai and the family it’s given me. 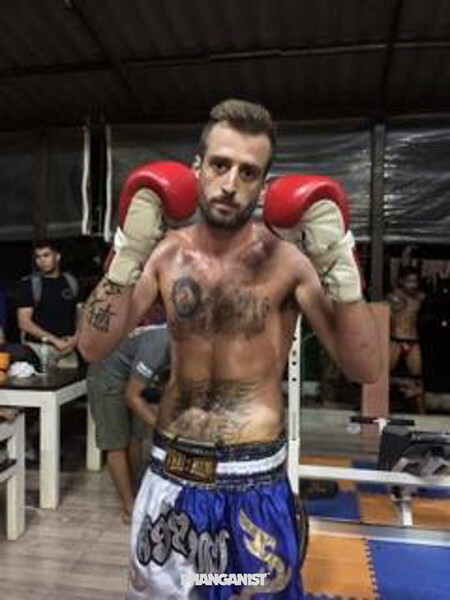 What would you say to people who have no Muay Thai experience thinking of trying it? If you wanna do it go for it, you can do anything you want if you set your mind to it, it’s how bad you want it. What else have you been enjoying about Koh Phangan? Everything, the beautiful beaches, great people and great weather. Will you continue Muay Thai in the future?